The season is upon us and one of the most essential components to hosting any memorable party is knowing who to invite. When it comes to wine, it is so easy to set yourself above the rest if you know what you’re doing. Vintage bubbles for instance, are a no-brainer: incredibly elegant, welcoming and a beautiful rarity. They are a wonderful way to kick off an evening. The world of wine is an infinite one, so choose pieces that demonstrate your elegance and get people talking. Argyle Brut, Willamette Valley, Oregon, 2008. This vintage bubbly is an expressive little number with notes of apricot, citrus and biscuit on the nose, fine mousse and persistent medium-bodied mouthfeel. 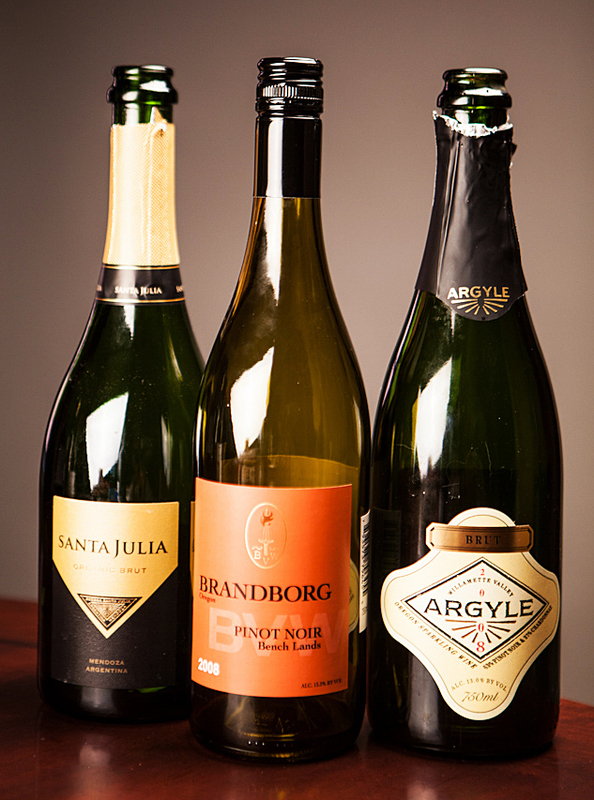 The argyle is a stunning brut, with even more acidity than one would expect and a refreshing lasting finish. Comparable to a very dry charmant-style prosecco in the mouthfeel, this sparkling is a perfect match for a cream based pasta, brie melt or a rich seafood dish. Santa Julia, Organic Brut, Mendoza Argentina, N.V.. The Santa Julia is an outstanding organic, mountain-grown sparkling. Possessing a gorgeous golden-straw colour, she has delicate effervescence and a great nose of pear, grapefruit and baked pastry. A much more balanced style and very elegant, she is a wonderful solo artist yet unobtrusive enough to pair with nearly anything. Brandborg, Pinot Noir, Bench Lands, Oregon, 2008. This brandborg is, without a doubt, one of the most interesting Pinots I tried all year. Its most impressive aspect is the nose, featuring hickory smoke, smoldering wet cedar, ripe raspberries, strawberry and sweet spice. The 2008 vintage was one of Oregon’s most successful years to date and the Brandborg demonstrated why. This Pinot is definitely a crowd pleaser! When pairing, we went complimentary. The heavenly match: a truffle rigatoni with smoked Gouda, crumbled bacon, mushrooms, fresh parsley and truffle oil drizzle to finish. The acidity cuts through the richness of the dish and all the hickory and mushroom loveliness was not lost; we were smitten. Karlo Estates, Quintas, Prince Edward County, 2010. 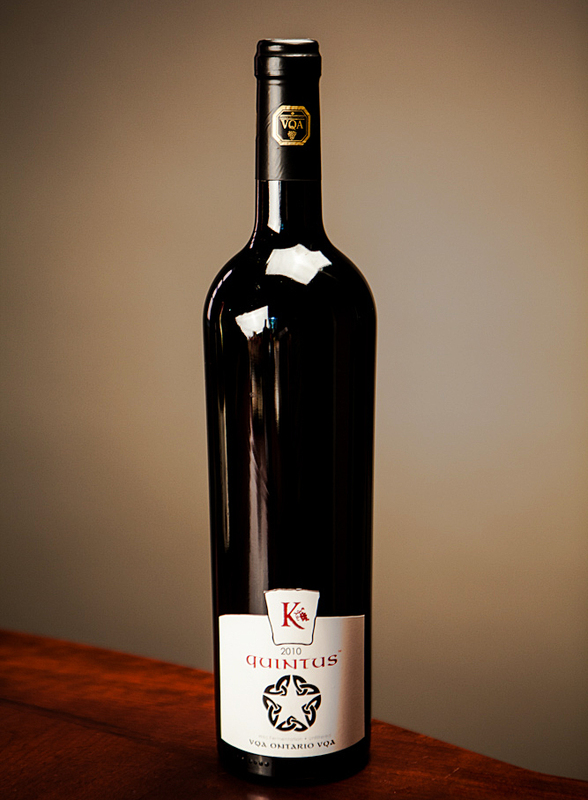 Karlo Estates is a small Prince Edward County winery that reworks old world styles into a new world genre, combining tradition and innovation remarkably – this Quintas is a prime example. A Bordeaux blend of Cabernet Franc, Cabernet Sauvignon, Malbec, Merlot and Petite Verdot, this star offers literally the best of both worlds. On the nose it carries great accents of cassis, tobacco box, deep cherry, dark chocolate and subtle florality. On the palate, a medium to full bodied mouthfeel is bolstered by some well balanced acidity, making for a wine with great cellaring potential, but also enjoyable in its younger years. What I admire most about this wine is its approachability; even with these heavy hitting varietals, the PEC terroir and minerality lend a unique subtlety – a nuanced sort of charm. It is a brilliant and well executed wine, yet again, from Karlo. This wine is not available at the LCBO, but you can order online (next-day delivery if you’re like me and can’t wait!) www.karloestates.com. Or perhaps you may travel the little distance to visit this remarkable winery yourself!